An opportunity for aspiring and emerging young writers to showcase their work. 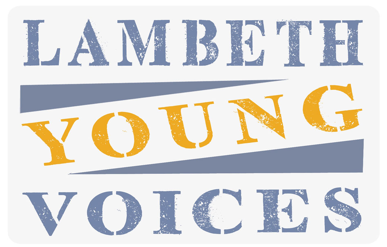 As part of the Lambeth Readers and Writers Festival we will be staging an evening of new work created by young people living in the borough. Winning writers will gain a unique insight into the creative process and the chance to see their work staged by a professional cast and director. Applicants must be aged 18 or under and live or study in Lambeth. Submissions open on Friday 11th March and close on Monday 18th April. 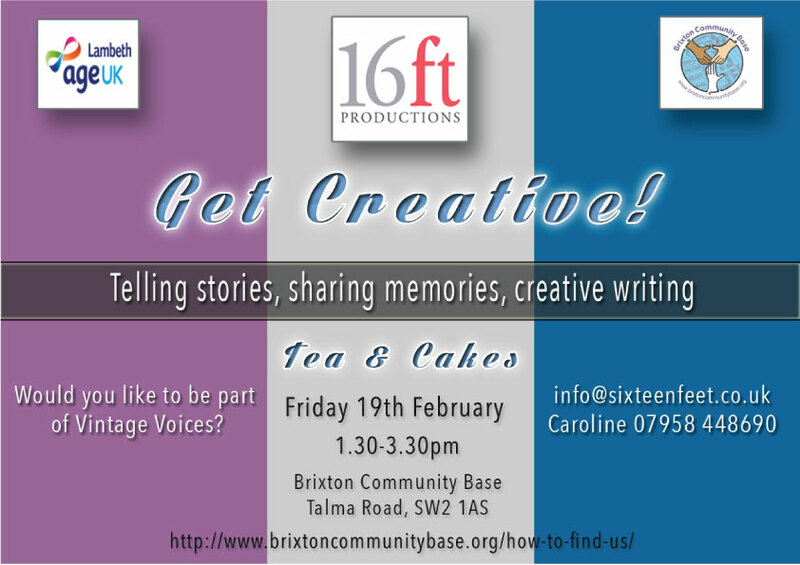 We will also be holding Masterclasses in playwriting and spoken word at Brixton Community Base in partnership with Brixton Youth Theatre www.brixtonyouththeatre.org and Lambeth Libraries. The workshops are free and open to all 14-18 year olds living or studying in Lambeth. A free Masterclass in Spoken Word with Elliott Daley aka Word Play..
Swingland Beginner Lindy Hop class with Romayne. Starts on Monday 11th January – 7 – 8pm. Absolute beginners welcome – no need to book, just turn up. £8 – pay on the night. A fun afternoon to get the creative juices flowing. 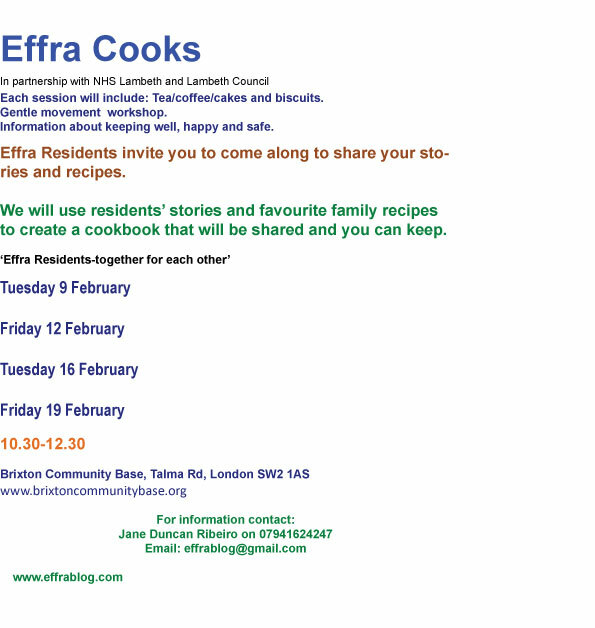 Come down and join in for storytelling, creative writing, tea, cakes and more!